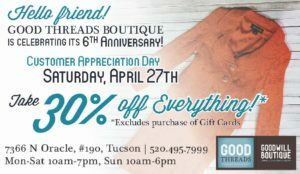 You can find our GoodThreads Boutique store located on Oracle just north of Ina Rd. 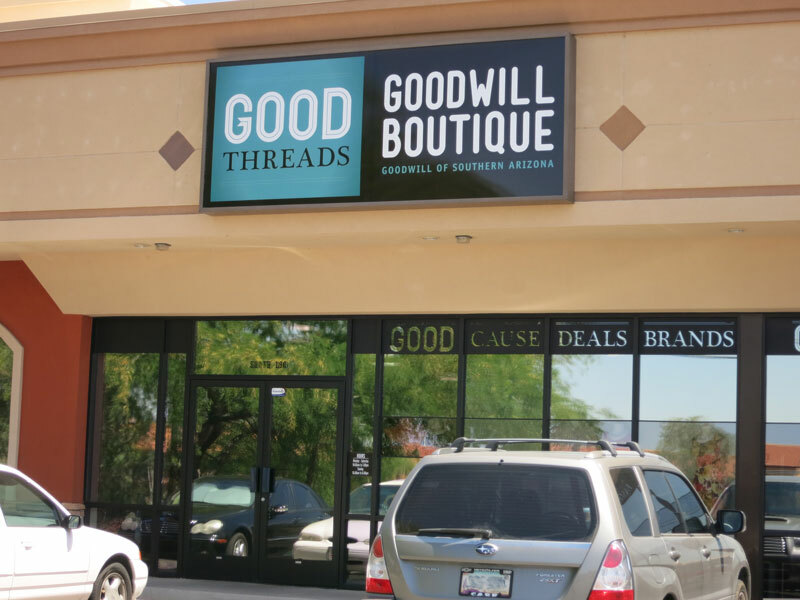 The GoodThreads Boutique offers a refined selection of higher-end high-quality brands, a small selection of furniture from our Youth Restoration program, and various small treasures sent to us from local retail Goodwill stores. We carry a selection of designer and higher-end clothing brands such as Calvin Klein, Kenneth Cole, Anne Klein, Geoffrey Beene, Michael Kors, Louis Vuitton, Badgley Mischka, Chico’s, Free People, Miss Me, Se7en, and more. We also keep a selection of purses and bags from Coach, Dooney & Burke, Vera Bradley, and other well-known designs. 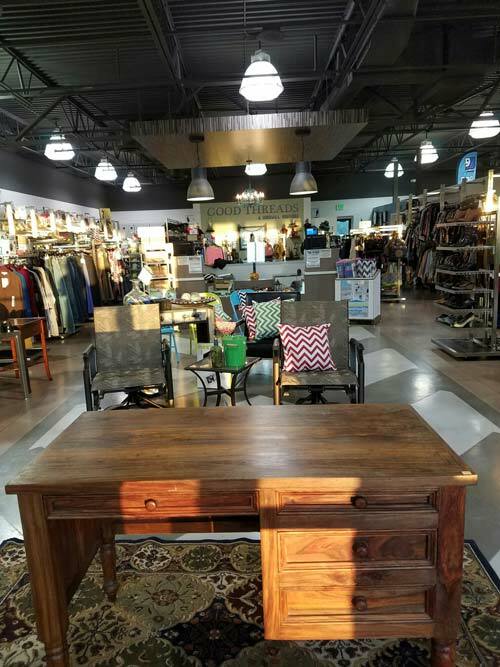 Our small store is nestled in the foothills of North Tucson and is within easy distance of a number of pleasant dining and shopping venues. All coats and jackets are currently 70% off.